Anantapuramu: The advertisement starts on an emotional note. A farmer, nearly in tears, is on a video call with his college-going son, showing him the water gushing through the canals; he can’t believe his eyes that water has finally reached “seema” (the border). The young man shares this with his dismissive friend who says it’s probably all computer graphics (alluding to the graphic presentation made of the greenfield capital to be built in Amaravathi by Babhubali film director SS Rajamouli). The son, angered, slaps him and launches into a monologue about how, whatever tales those opposed to him spin, at least educated people should appreciate how Chief Minister Chandrababu Naidu’s irrigation projects have brought water to these lands and “wiped away farmers’ tears”. Andhra Pradesh voters, set to elect representatives for both Houses this month for the first time after Telangana was carved out of it, are routinely subjected to such ads. The ecstatic farmer from the ruling Telugu Desam Party’s election ad could have been anyone from Rayalaseema, where rural population accounts for the bulk of the population and whose main occupation is agriculture. But he certainly wasn’t Y Chandra Sekhar from Yaleru in Anantapuramu constituency, a district particularly synonymous with farm distress and mass migration. Yaleru has received water in the village pond, but its fields are still dry. “We have had to buy rice for the past 10 years. We weren’t even able to grow vegetables,” he said. Many farmers in the region have moved to less water-intensive horticulture crops, which is costing the region its self-sufficiency in food. “But this year we were able to sow paddy once. There are no sub-canals in our village but fields abutting the water pond were irrigated,” he said. 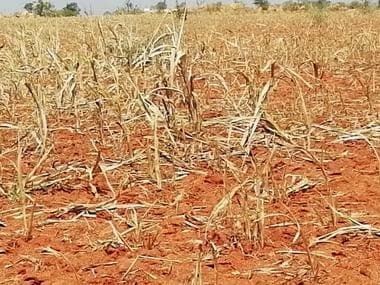 The three other districts that fall under Rayalaseema — Kurnool, Chittoor and Kadapa — are also perennially drought-prone. But Anantapuramu is so severely affected that only Jaisalmer in Rajasthan is drier. In 2018, Anantapuramu recorded just 272.8 mm rainfall (the lowest in the last century), which is half the average (550 mm) it receives. More often than not Anantapuramu is ready made election folder for politicians, but this time most of the water politics appears to be focussed on Chittoor. Not surprisingly, Naidu made only a passing reference to providing water to all lands at the hustings in Anantapuramu. Last month, 11 municipal councillors of YSRCP from Dharmavaram in Anantapur district tendered their resignations to protest against Naidu for diverting Handri Neeva Sujala Shravanthi (HNSS) waters to irrigate his home turf of Kuppam in Chittoor. The Opposition also said the aim of the project has been diluted and it is now only focussing on filling tanks to provide drinking water while irrigation has been neglected. Meanwhile, in January the TDP announced another drinking water project to take water from Gandikota in Kadapa district to Chittoor, where YSRCP won 6 out of 14 seats in the last Assembly elections. HNSS, a lift irrigation project, was designed to irrigate major parts of Rayalaseema. It was conceptualised by former chief minister NT Rama Rao in 1985-1986 to channel the backwaters of Krishna to villages in the ‘western mandals’. Starting from the lush green forests of Nallamala — where the Srisailam reservoir is based — the canal system snakes downward and west in a semicircle, bringing the waters to Chittoor via Anantapuramu. The project has a troubled past. While it had an allocation of 40 TMC, it wasn’t assured; so it would only get water if reservoir levels are above 854 feet. Critics are quick to point out that projects for coastal Andhra Pradesh have assured allocations. When Naidu came to power in 1995 after forcibly replacing NTR — his mentor and father-in-law — as the party president and chief minister, he said the project wasn’t feasible and it was shelved for the next decade. In 2004, on his appointment late chief minister, YS Rajashekar Reddy took up a few long-pending projects, including HNSS. The project, which 15 years later is still inching towards completion, was supposed to irrigate 0.85 lakh acres in Kurnool, 3.90 lakh acres in Anantapuramu, 0.25 lakh acres in Cuddapah, and 1 lakh acres in Chittoor district. Activists of Rayalaseema have for long argued that by issuing the 1996 government order (GO) 69, which allowed water in Srisailam dam to be drawn to and maintained below 854 feet, even if there’s a surplus, Naidu sounded the death knell for the region’s irrigation projects. Activists allege that no party is raising questions about this even after 22 years. There was a hue and cry when YSR issued a government order to raise the capacity of the head regulators in Pothyreddypadu and, as a result, it was withdrawn. HNSS project officials in Ananthapur said they released 35.02 TMC for the region from Muchumarri and Malyala foreshores, of which 24.8 TMC was given to Anantapuramu and 1.2 TMC to Chittoor district. M Mallikarjuna Reddy, executive engineer of HNSS, admits that no ayacut (an area served by an irrigation project) has been developed as of now. “But nearly 43,000 acres have benefitted either directly or indirectly. The water was given between August 2018 and March 2019. We have filled 135 water tanks across the district (which has 1,263 ponds),” he said. Countering any claims made on the success of HNSS, B Dasaradha Rami Reddy, general secretary of Confederation of Indian Farmers Association (CIFA), said that only 13,000 acres in Anantapuramu have been irrigated. He explained that since water is being taken through the main canals without any branch canals, irrigated area hasn’t risen. Branch canals are part of the HNSS project, but they haven’t been made owing to lack of allocations over the years. Also, there is no detailed project report on it from the government, he added. But even at full capacity, the canals wouldn’t be able to irrigate the designated areas, as they are too small, according to Rami Reddy. “To take 40 TMC water from Malyala to the fields in tail-end areas of Chittoor district while ensuring Anantapuramu gets its share, the water should flow at 2,500 cusecs per day in the canals. At the current rate, it takes five to six days for one TMC to flow; so, for 40 TMC, it’s 220 days. Duration of most crops is between 90 and 100 days. Hence, the canals have to be increased in size,” he reiterated. Meanwhile, other projects like HNSS — Galeru Nagari, Srisailam Left Bank Canal, Nettampadu, Kalwakurthy, and Telugu Ganga— which have for long been held as a panacea for the drought-hit region, have been woefully ignored. Critics like CIFA’s Rami Reddy say the injustice has been done historically and continues to this day institutionally. Projects meant to benefit Rayalaseema were kept in Schedule 11 and read with Section 85 of the AP Bifurcation Act. This section determines the reference to Krishna River Management Board (The Krishna River Management Board (KRMB) is an autonomous body established as per AP Reorganisation Act, 2014 to manage and regulate the waters of Krishna Basin in the States of Andhra Pradesh and Telangana). But the modalities for distribution of water to new projects and in case of water shortage between the parties is mentioned under Section 89 by which Brijesh Kumar Committee works. This committee refused to interfere and allocate water for the projects under Section 85 and termed it outside of its purview. This anomaly has to be corrected by amending Section 11 of the Bifurcation Act to be read with Section 89 to get allocation of water for Rayalaseema projects. Neither the ruling party nor Opposition are seeking this. Veteran journalist A Raghava Sharma said this indifference stems from the fact that of the 175 Assembly seats in Andhra Pradesh, 123 are in the coastal region; Rayalaseema has only 52. 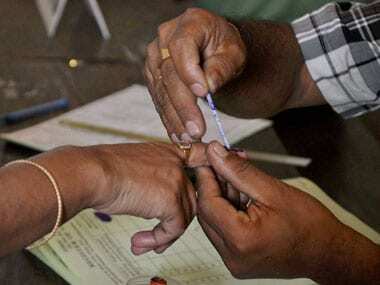 Any political party can afford to rely mostly on coastal Andhra to get 88 seats and capture power. 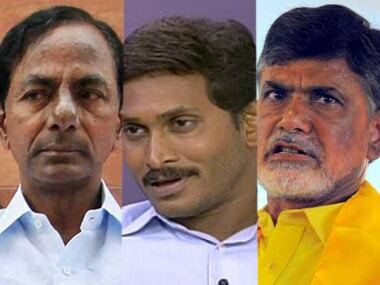 The feeling on the ground remains that the rich and satiated coastal belt continues to be prioritised over the arid Rayalaseema, despite the fact that many prominent leaders hail from this region, from Naidu to Opposition leader YS Jagan Mohan Reddy. The Pattiseema Lift Irrigation Project to link Godavari and Krishna rivers in the West Godavari district was completed within a year, earning it a place in the Limca Book of Records for being “the first and fastest such irrigation project in the country to be completed on time, without any budget enhancements”. Polavaram, an under construction multi-purpose irrigation project on Godavari river, which will bring 45 TMC water to the already well-served coastal delta, was accorded National Project status by the Union government, the last project to get this status before the end of the current term. Purushottam Reddy accused the government of conveniently forgetting the Dummugudem project that could bring 165 TMC of Godavari’s waters to Rayalaseema. Deriding the state government for neglecting Rayalaseema projects, convenor of Rayalaseema sub-committee of the CPI(M), G Obulu said, “All 63 mandals in Anantapuramu and the region have been declared drought-hit; this debunks government’s claims. How much water do you think was brought to Rayalaseema if 150 TMC was taken from Srisailam for Pattiseema, which the state claimed was completed in six months?” His logic: why deny this water to Rayalaseema? “The chief minister is trying to grab votes with water. Why couldn’t the government have declared HNSS also a national project? It cites lack of funds but spends Rs 3,400 crore on Godavari and Krishna pushkaralu (12-year celebrations of the rivers)!” he added.